Mark Galovic is a Vice President on the Chicago Office Team for Generational Capital Markets, Inc.
Mr. Galovic assists private middle-market business owners to better understand their companies’ risk and value in order to develop and execute a custom exit strategy. Mr. Galovic is responsible for business valuations, pre-launch diligence, identifying and qualifying potential acquirers, executing marketing initiatives, managing due diligence, and negotiating letter of intents as well as final purchase agreements. Mr. Galovic has over 12 years experience in corporate valuations, financial analysis and modeling, investment management, economic and industry research, as well as quality of earnings analysis. 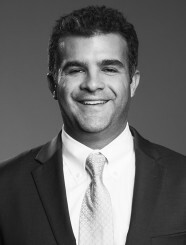 Prior to his current role, Mark Galovic was an OTC middle office associate at HBK Capital Management. Mark Galovic holds a Bachelor of Business Administration in Finance and Accounting from Southern Methodist University in Dallas, Texas. Mark is also a Chartered Financial Analyst (CFA) Charterholder, holds series 79 and 63 FINRA securities licenses, and is an active member of the Board of Directors of the Midwest Business Brokers & Intermediaries Association (MBBI) along with Phil Pizzurro in Chicago, Illinois.